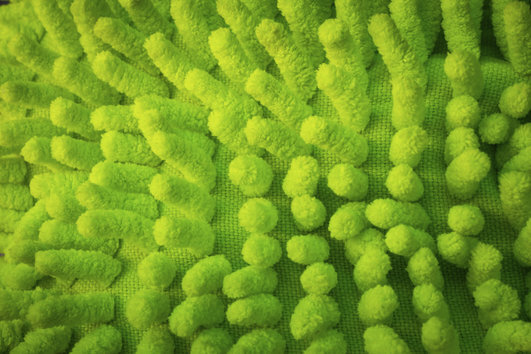 Should Your Facility Be Using Microfiber for Sanitation? The short answer is yes, but we’ll explain why. We previously covered how microfiber works, and what makes microfiber towels and mops excellent cleaning solutions. So we’ve established that microfiber is the best material for cleaning, and that alone makes it a top consideration for any facility’s cleaning needs. One way to reduce cross contamination is via walk off at rental, because – let’s face it – floors are dirty. Another solution is microfiber mops. Today’s blog will discuss why your facility should be using microfiber for infection control, especially in heavily-populated urban areas like Baltimore. Keep reading to learn the many beneficial applications of this high-quality material in the workplace. Health care facilities such as physician offices and hospitals contribute to the top usage of microfiber towels, mops, and other cleaning solutions. Microfiber leads in infection control and preventing cross contamination, which is valuable for these facilities to prevent the spread of illness. When it comes to facilities where germs and bacteria can be easily spread, microfiber is the best available solution. Schools and campuses regularly experience heavy traffic from students, staff, and visitors. This provides plenty of opportunities for germs, dirt, bacteria, and other grime to enter the premises. Walk off mats are a good solution for dirt/germs/bacteria being tracked in, and microfiber can clean up anything that might get by. These are only a few of the top examples of facilities that could benefit from utilization of microfiber for infection control and sanitation. Anywhere prone to germs, bacteria, and dirt spreading through people is a great candidate for starting a microfiber cleaning program. Ready to start a microfiber cleaning program in your Baltimore facility? Contact Lord Baltimore today! For over forty years, Lord Baltimore has provided reliable, cost-effective uniform rentals solutions throughout Maryland, Washington DC, Northern Virginia, Southern Pennsylvania, and Delaware. We are an independently owned company that is confident in our ability to provide you with service above and beyond industry standards. To learn more about how microfiber can benefit your company and provide infection control, please contact Joe Bateman at Lord Baltimore by calling 800-292-1224. This entry was posted on Tuesday, January 12th, 2016	at 4:36 pm	. You can follow any responses to this entry through the RSS 2.0	feed. Both comments and pings are currently closed.